Remember the Nissan DeltaWing? Of course you do. It was an awesome looking three-seater EV racecar. 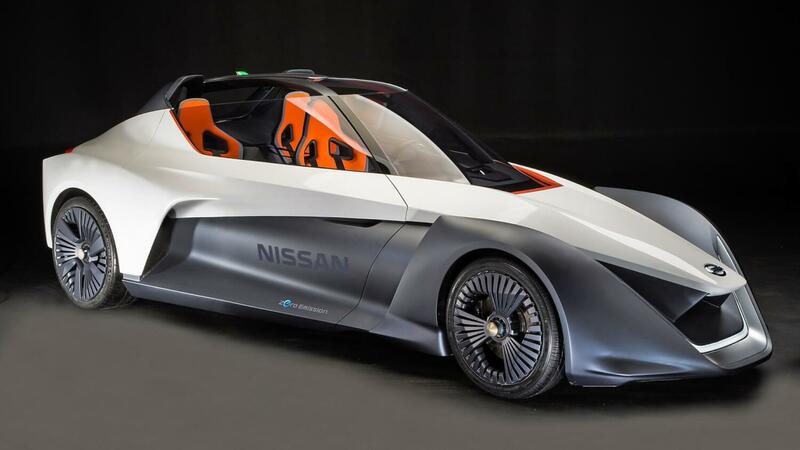 Then Nissan put forward the first BladeGlider Concept at the 2013 Tokyo Motor Show. At the time Nissan claimed there was a possibility of a production car hitting showroom floors. This isn’t that car. Well not yet anyway. 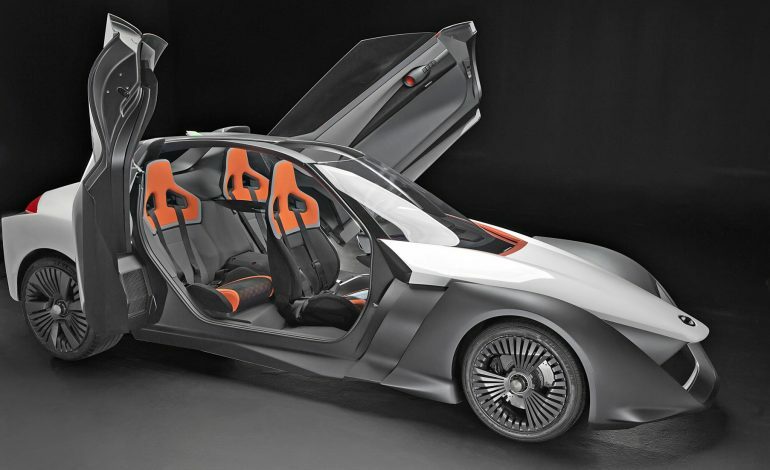 This is the BladeGlider Concept 2.0 and it resembles a more production-ready prototype of the BladeGlider idea. 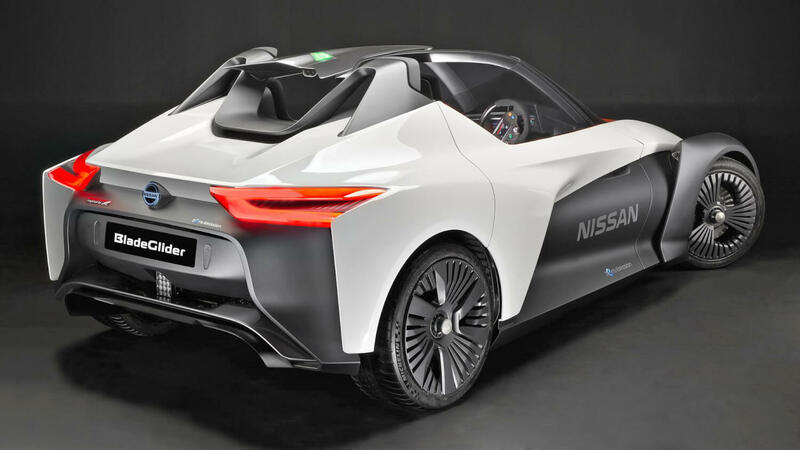 Basically, this three-seater McLaren F1-style layout, carbon-fibre reinforced plastic bodied, electric vehicle is what Nissan hopes will convert some enthusiasts over to the zero-emissions side. It has all the right numbers to make this sound like a tempting proposition. How does two 130kW motors powering only the rear wheels sound? Total output is rated at 270hp/198kW and 706NM of torque. That’s enough for a 0-100 km/h time of under 5 seconds and top speed is 170 km/h. Not bad for a 1300kg car. There’s no word on how far a single charge will get you but Nissan claims a full charge will only taken an hour. Nissan has incorporated a fair amount of motorsport knowhow into to BladeGlider too. The powertrain is from Williams Advanced Engineering while the steering wheel looks like it’s come straight from an F1 car. Taking Japan’s recent law change of allowing mirrorless cars, the BladeGlider makes do without traditional wing mirrors with cameras and display screens in their place. There’s also rear-hinged dihedral doors for that all important ‘wow factor’. Of course a roof will need to be added come production time. 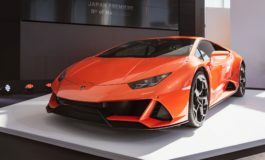 Perhaps more colours will need to be offered too as Nissan says the only two colours available are ‘Cyber Green’ and the brilliantly named ‘Stealth Orange’. 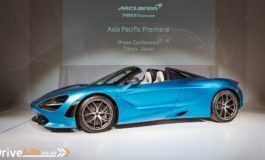 With a design like that, McLaren F1-style seating arrangement, those ridiculous doors, a colour called ‘Stealth Orange’, and the possibility of emission-free drifting, how can you not want to have a go in one of these? You may not agree with with EV motoring but you can’t argue with how much fun this seems. And for that, I salute Nissan.